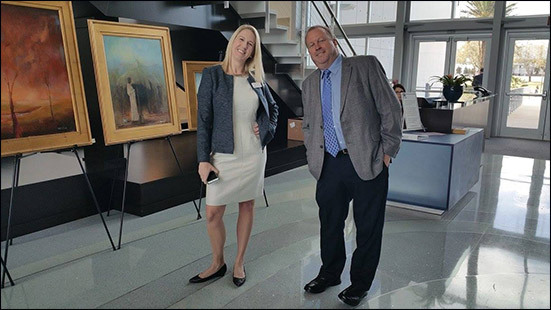 Associate attorney Kayla Hathaway with Rice & Rose Law Firm in Daytona Beach (left) has been selected to participate in Leadership Daytona Class 36. Leadership Daytona is a program of the Daytona Regional Chamber of Commerce. It is a three month journey designed to engage class members in a unique and powerful opportunity to solve a specific community problem while learning from each other and community leaders. The program equips graduates with the skills, knowledge and contacts needed to become a more visible member of our community. Kayla is pictured with Leadership Daytona co-chair Bo Brewer of The People Business.